A former teacher, childcare director and an early childhood lecturer for 14 years, Cynthia Allan understands how essential it is for children to have proper care in their early years. She visits the Food for People (FFP) facility in Bantoli, India twice a year. 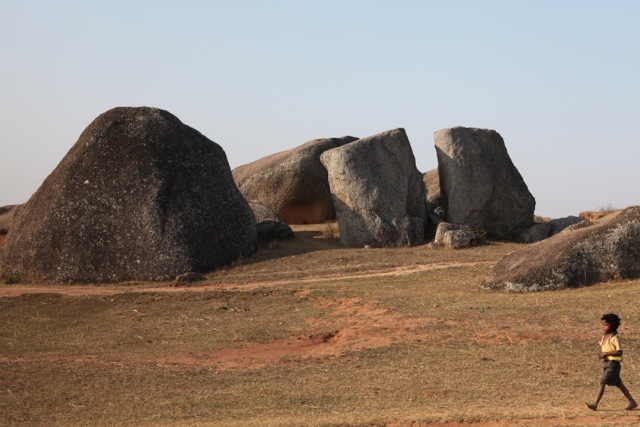 Here are some of Cynthia’s comments and photos from her trips in February and March 2014. Over many years I have watched children arrive at this FFP facility in Bantoli. Nothing much, in this regard, has changed. Once through the gates, it’s straight to the water taps to wash hands and maybe get a drink. And then to the dining room. The highlight of my trips to FFP Bantoli this year was the morning TPRF’s founder visited the facility to interview some of the children. Despite the obvious difference in “life experience,” he put the children at ease. The warmth and laughter were wonderful. At a recent event in Australia, Prem Rawat mentioned this occasion. He spoke of one girl who had never been further than a 5-mile radius from her home. The girl told him that fertilizers used on local food made the vegetables taste funny. He assured her that such fertilizers would not be used on anything grown at the Food for People facility. 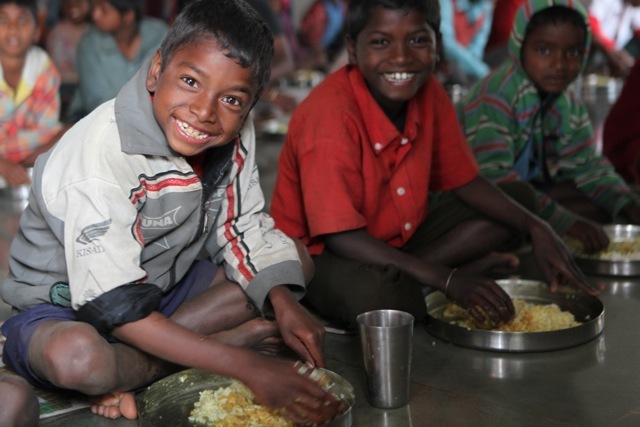 Having a nutritious meal every day is life changing for these children and several parents who also come for meals. Now, the adults are strong enough to work. And their children are able to attend school. After eating, they play—not just with a few plastic containers with wheels, but with each other. Smiles tell the story of lives being transformed. Visiting this facility so many times since its inception has also had a powerful effect on my life. I am humbled by the impact FFP is making, providing nourishing meals for these children day after day after day. Good food was a given in my childhood— taken for granted at the time, but greatly appreciated in hindsight. 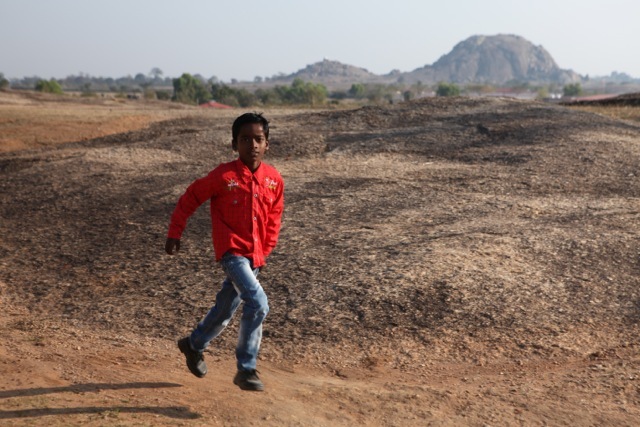 Although I haven’t seen what life is like for the children at home or at school, the way they are at the FFP facility suggests great changes have happened for them. Their increased physical wellbeing is obvious. It’s helping them to experience confidence and giving them the opportunity to interact with each other. On September 30, 2014, Prem Rawat met with 500 Boy Scouts in Kuala Lumpur, Malaysia. He spoke about the power of choice in our lives. Now that their basic needs are being met, the children of Bantoli are in a much better position to choose. Thank you. It is lovely. Thanks for the report and pictures. It’s lovely to see the kids so happy and to see Prem talking with them. Thank you so much for this article. 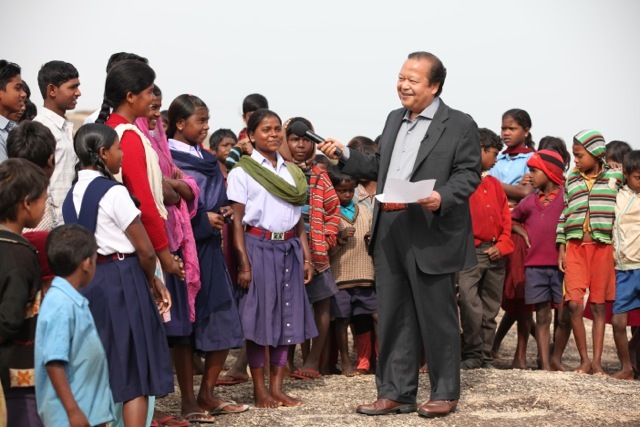 I know that Mr. Prem Rawat has a heart that is so big that it embraces all humanity . THANK YOU for these beautiful pictures! I’m very thankful for his kindness.